We put these Reese’s Pieces Peanut Butter Cookies together as a team, although Nate and Asher did all of the preparation and baking. I wanted to let them write about their cookies and so without further ado, I turned the keyboard over to them. Asher: One day I was looking for a book at the library. 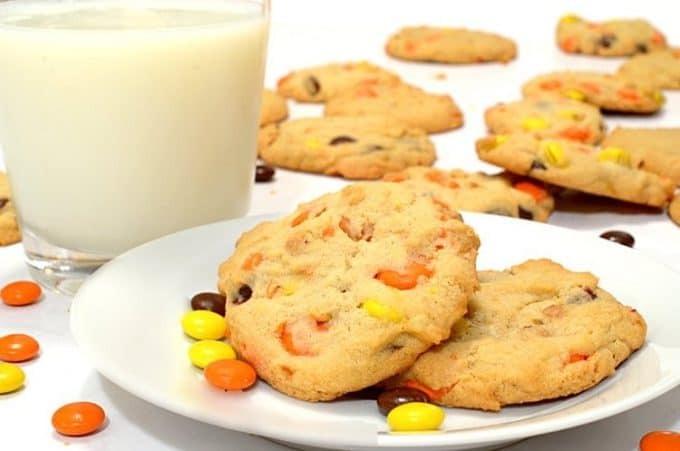 I came across a Cookies & Treats cookbook. Why not check it out I said to myself. I thought I could make a recipe from that book. I looked in the book and I found this recipe. 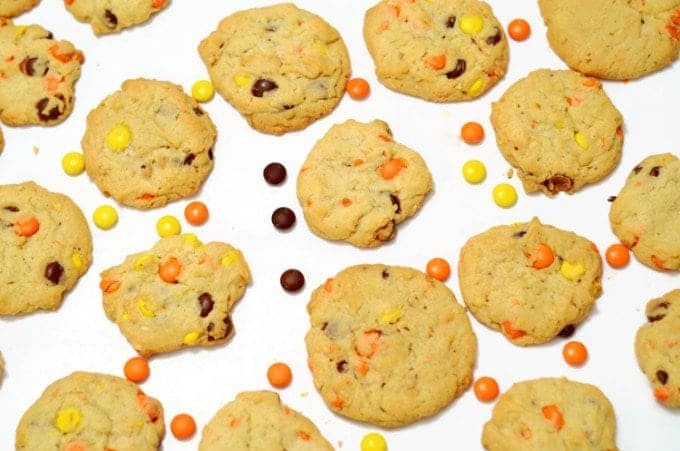 These cookies will put a smile on your face. Nate: So then we went home and said ”Dan, Dan! ” we have to make these cookies. Then, Dan took a look at the recipe and said okay and then we started to make the cookies. There you have it. 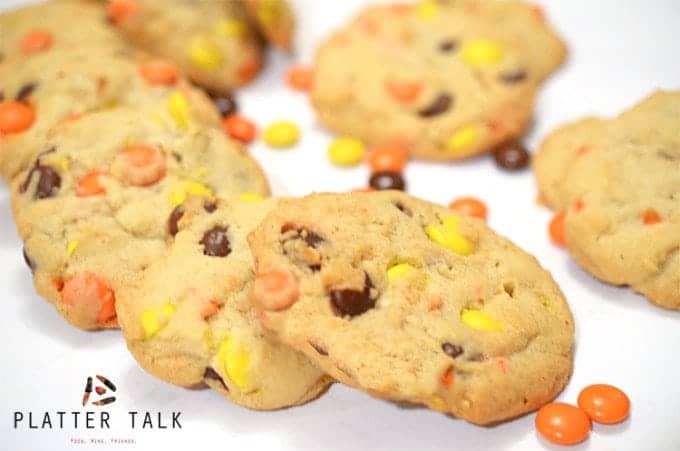 Out of the mouths of babes The boys modified the recipe in the book and these Reese’s Pieces Peanut Butter Cookies were the result. Throughout, we talked about basic baking principles, how to measure and level ingredients, how to use fractions when some of the measuring cups were missing, and safety in the kitchen. Mostly, we had fun. And then of course, along with some milk, we had some cookies. 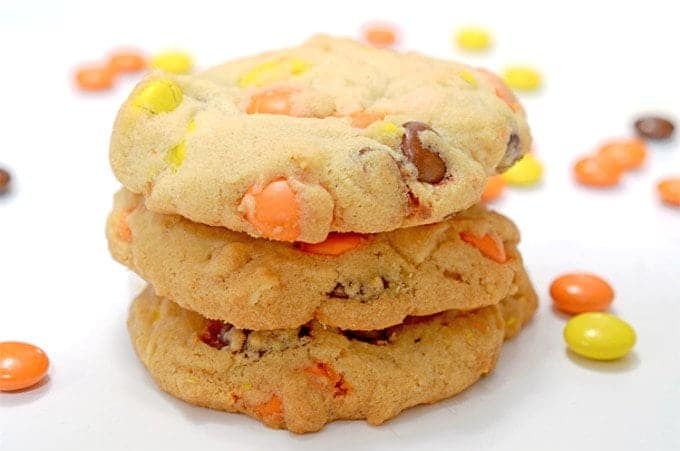 Some Reese’s Pieces Peanut Butter Cookies. Adapted from Simple 1-2-3 Cookies and Treats, Publications International Ltd. Beat butter, sugar and peanut butter in medium bowl until creamy. Add egg and vanilla; beat well. Stir together flour, baking soda and salt; add to butter mixture, blend well. 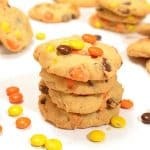 Stir in Reese's pieces. Drop by rounded teaspoons onto ungreased cookies sheets. Bake 15 minutes or until light golden brown around the edges. Cool 1 minutes on cookie sheets. Remove to wire rack; cool completely. These cookies are SO AMAZING! Thanks so much, coming from a Cookie Lover, that’s quite affirming! So fun to have the kids help. I will bet they ate the whole batch! Thanks, Peter and you are so correct! Nate and Asher have outdone themselves baking these cookie! They look absolutely wonderful! I’m not going to lie, I would eat every single one of these and then lick the crumbs off the plate. I’m in love. Go for it, Pamela. We never judge!! Well, Nate and Asher, I’ll tell you one thing. 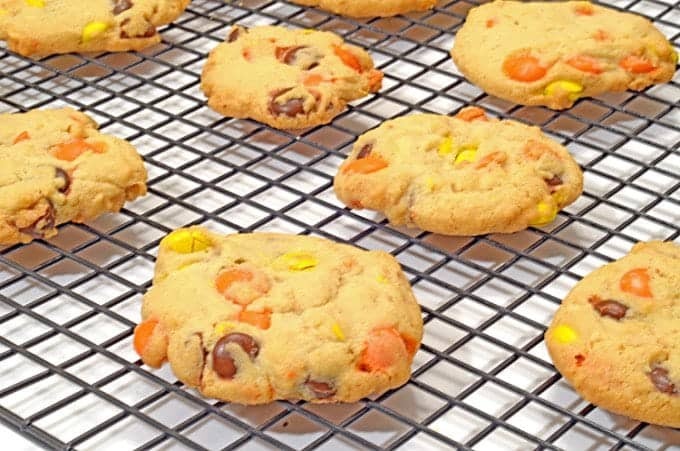 I had a cookie business a few years ago, and I know my customers would have loved your cookies. 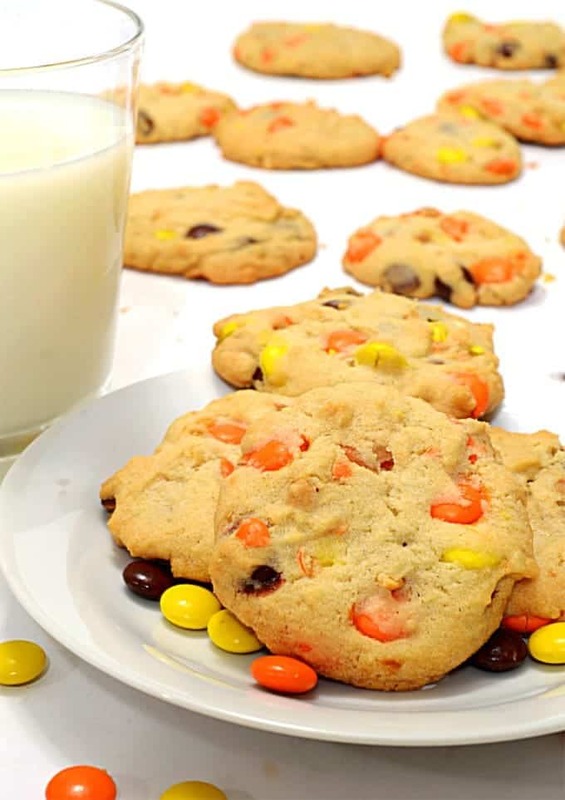 These cookies not only sound delicious, they look absolutely perfect. Great job, guys. Wow!! 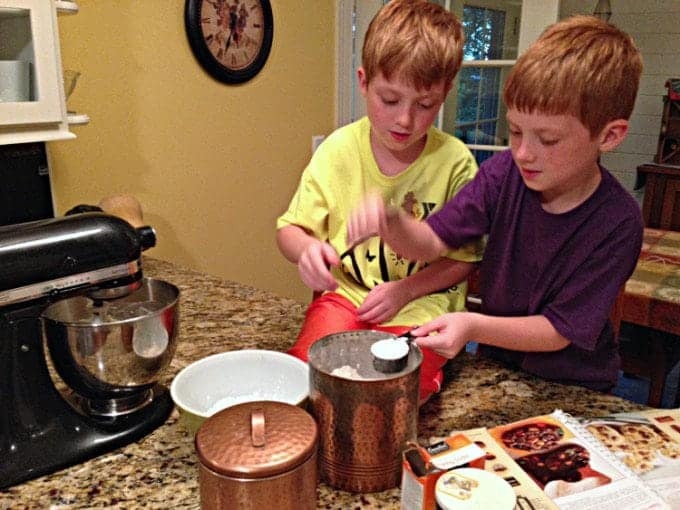 I think it’s wonderful that the boys want to join in on the baking and cooking fun in your home! They are adorable and the cookies do sound delicious! Great job!